Mother and daughter team Vicki and Jennifer at 2 Bees in a Pod show off their inventive DIY candle. 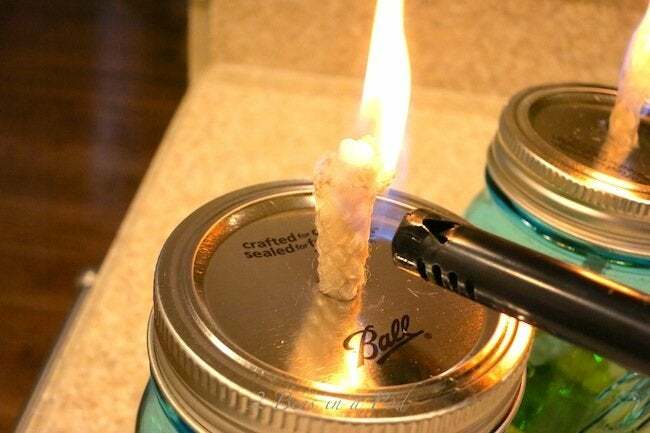 You mean you can make your own citronella candles? Now, that’s genius! Mother and daughter team Vicki and Jennifer at 2 Bees in a Pod can show you how it’s done. 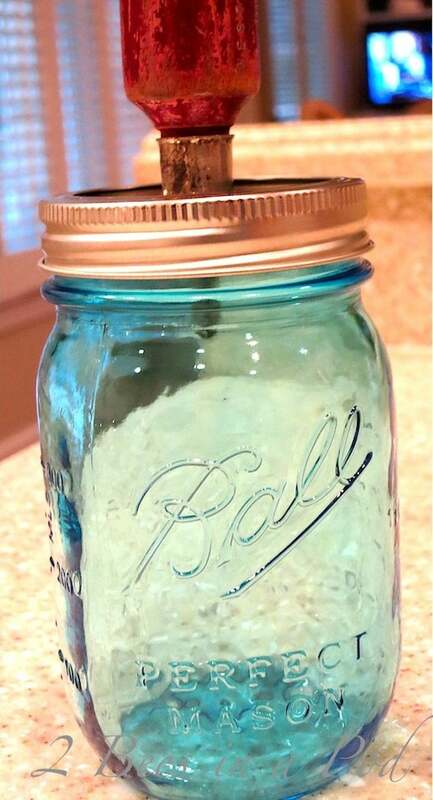 Inspired by an upcoming lake vacation (and a free set of canning jars), they used their inventiveness to hack humble mason jars into useful, bug-repelling luminaries. These two have been blogging together for one year, but they’ve being DIYing together for decades. In fact, they’ve tackled projects of all sizes. When the pair teamed up with family to renovate Jennifer’s kitchen, they did everything from tiling the floor to creating custom drapes (and when it comes to furniture, they’re repurposing gurus). So when they spotted a mason jar lamp for sale—with a hefty price tag—they knew it’d be a cinch to make their own. With the addition of citronella oil, these are not only a source of illumination, but a serious bug-repellant as well. “Our oil lamps are still burning,” they tell us. 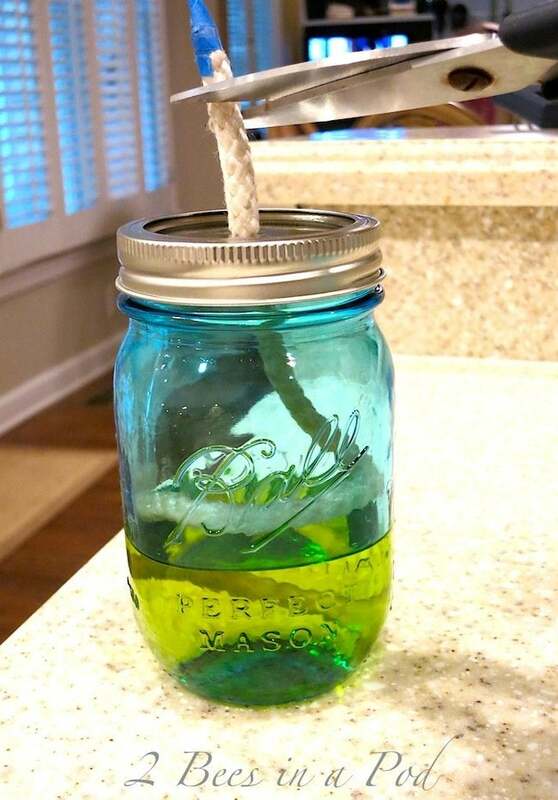 “We have used them all summer long and there is plenty of citronella oil left.” But that’s not the last from these home inventors. “We’ve been toying with the idea of creating outdoor solar lights on a pedestal to line the sidewalk. It may be fun to “stain” them orange for the fall,” says the mother-daughter duo. Read on to see how Vicki and Jennifer created these affordable, wow-worthy DIY citronella candles. Hammer a hole in the center insert of the jar top. 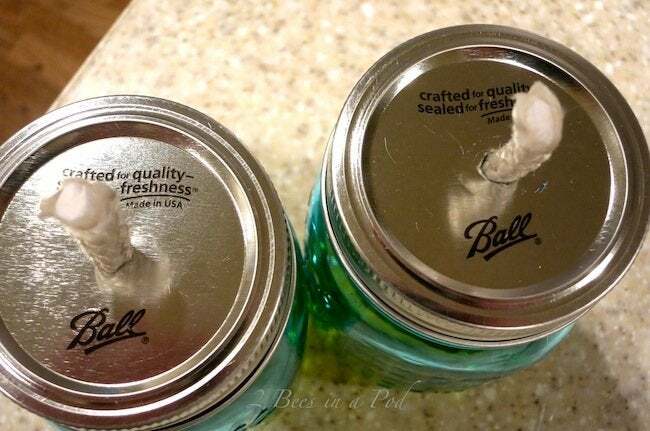 Tip – You can hammer two lids at one time. 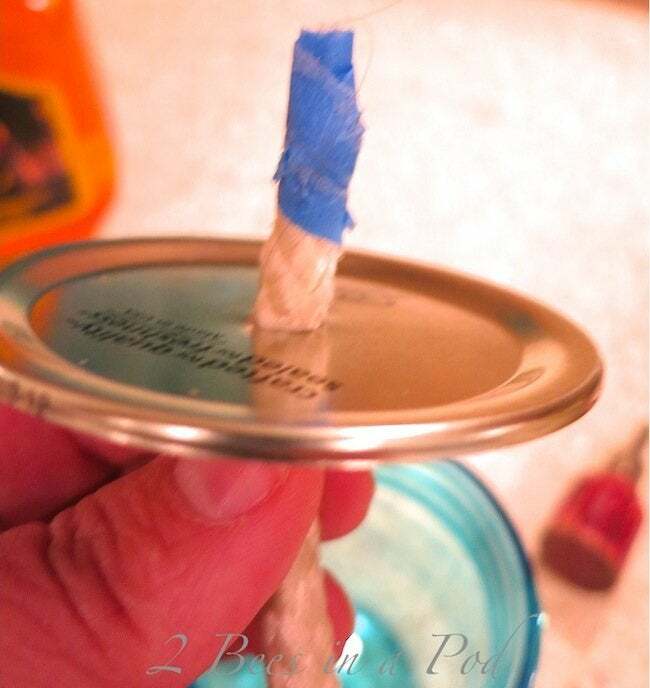 Use three strand rope for your wick. 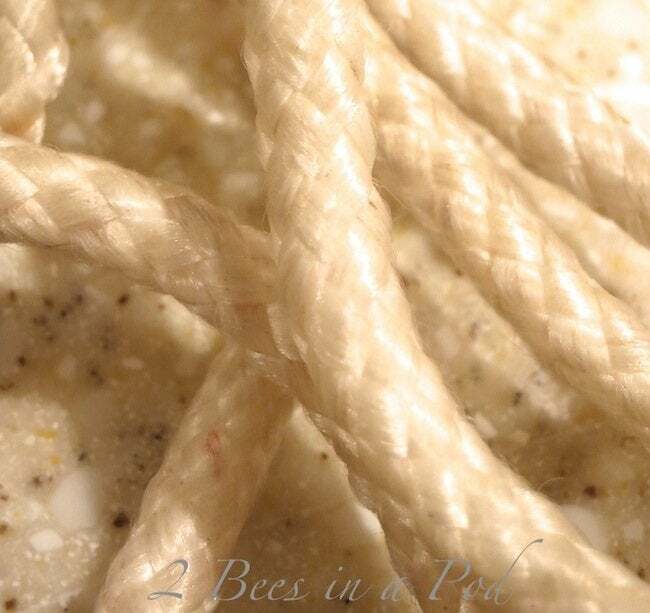 Tip – Use 100% cotton rope. Nylon will melt, sizzle and quit burning. Tip – Wrap the tip of the rope with tape. 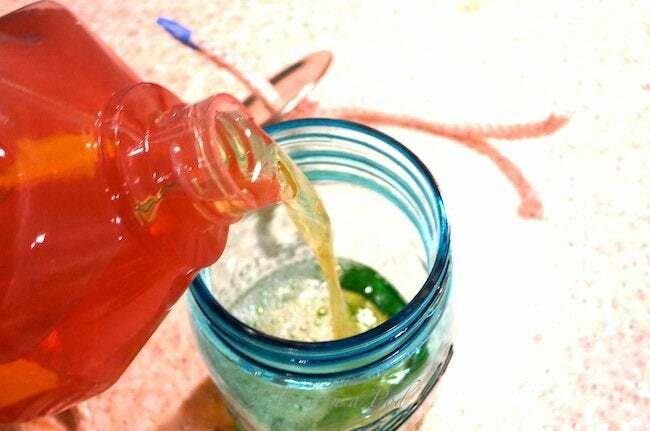 This will keep the rope from unraveling when you place it in the jar lid. 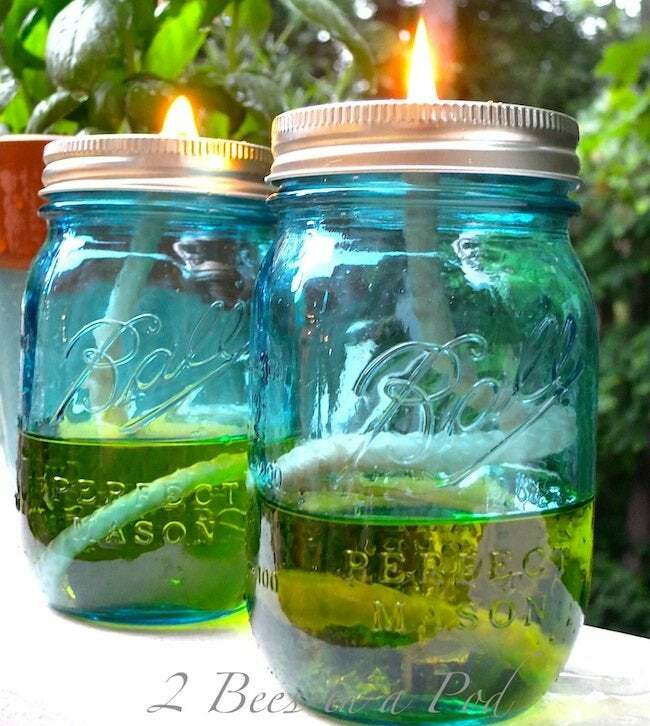 Pour citronella oil into the jar, anywhere from a quarter- to a third-full. 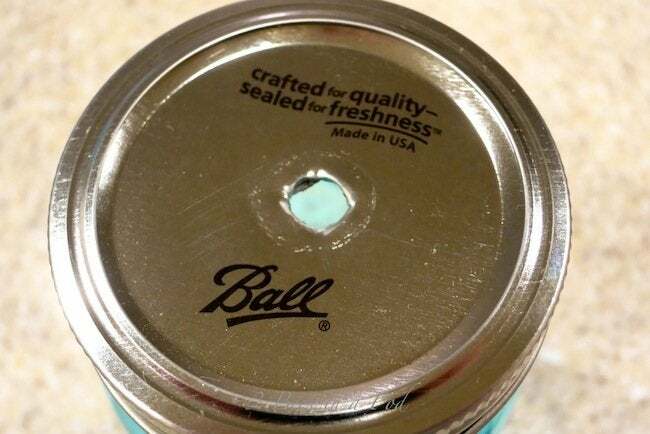 Screw the lid into place. Snip the taped end off of the rope. 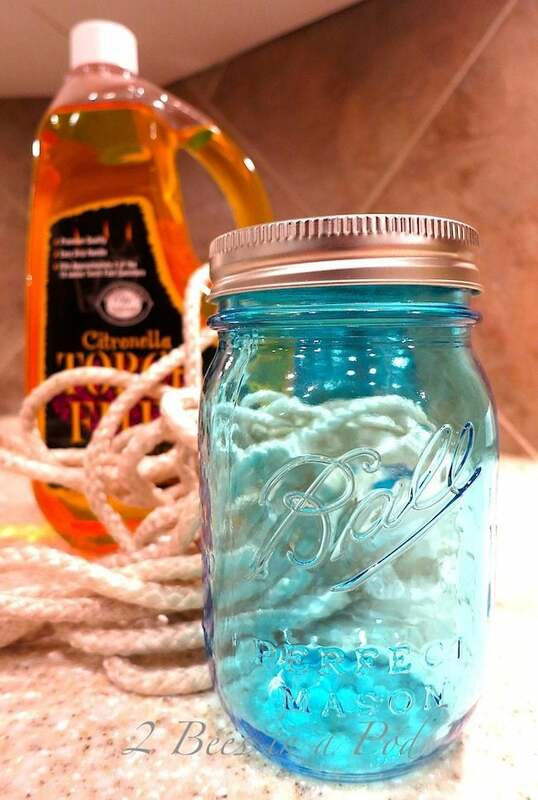 Let the rope soak up the citronella oil for about 10-15 minutes before lighting. Stand back and light it up. When the rope wicks are first lit, they will burn high. After a few minutes the flame will be more like a candle burning. Take them outdoors and let them work their magic on keeping the mosquitos away. Thanks to our genius DIY bloggers Vicki and Jennifer from 2 Bees in a Pod for sharing their tutorial for the perfect DIY citronella candles! To catch up with their latest hacks and projects, check out their blog.